With our culture’s obsession with the “do more, make more” philosophy it’s easy to forget that “do less, make more” is a perfectly viable option too. 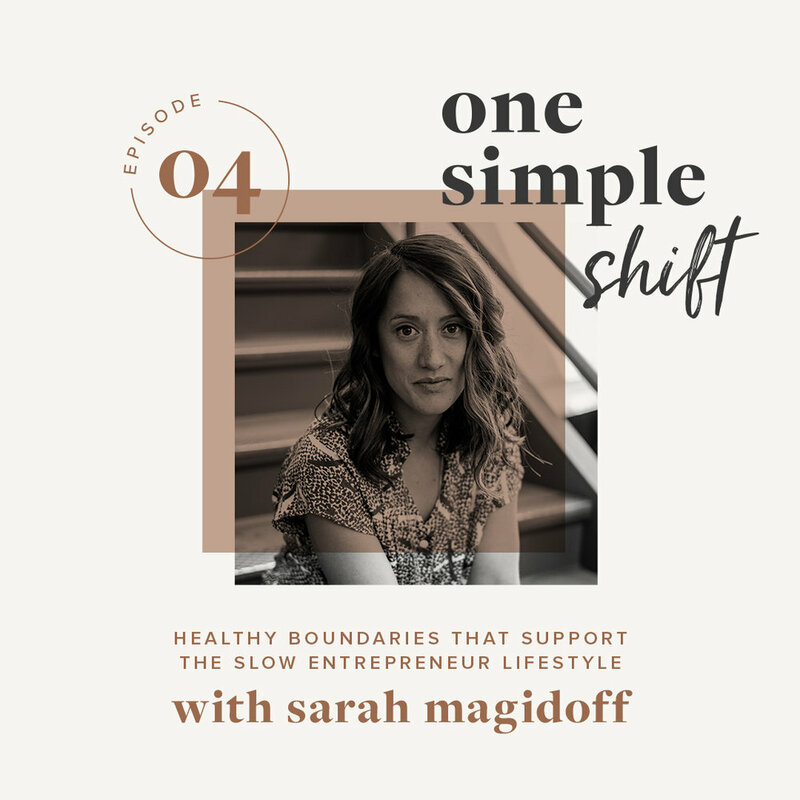 In today’s episode we chat about what it means to let go of the guilt the can come with setting boundaries between work and life and how this simple mindset shift actually helps you to do your best work, take BETTER care of your clients, and thus, make more while doing less. Defining parts of your day that you’re unavailable rather than taking work with you wherever you go. Being purposeful about how you work best. You can actually take BETTER care of your clients by establishing boundaries around your work time. How Sarah sets the tone for her work with clients and shares her boundaries in a kind and loving way. Letting go of the thoughts that cultivate feelings of guilt about not responding real time. How Sarah cringes at the word “self-care” because it feels self-indulgent if we don’t first understand our our self-worth and our own value. Self-respect as a form of DEEP self-care. How taking a step back and thinking about the fundamental ways you can take care of yourself can be incredibly powerful. Sarah Magidoff is the founder of CANOPY, a boutique creative studio offering brand strategy and graphic design solutions for brands with a focus on sustainability. She also pioneers the SLOW ENTREPRENEUR movement, a community of entrepreneurs opting-out of “the hustle” in favor of sustainable success cultivated through healthy work-life boundaries.